Who doesn’t dream of having a smile as gorgeous as Jennifer Lopez’s beaming beauty? Is her secret a rigorous daily dental hygiene routine or simply dental cosmetic surgery? No matter what they try to make us believe, not all famous people were born with a dazzling celebrity smile. Chipped, crooked, gapped or discolored teeth can be made over with veneers. It is a common procedure used to mask discolorations, brighten teeth and to improve your smile. Veneers are ultra-thin shells of ceramic porcelain material which are bonded to the front of your teeth. Veneers can also come in a composite resin material which tend to be a little more affordable but often requires regular maintenance. Both treatments involve full or partial facings of teeth that when properly done, can enhance the beauty of your smile. Which option is the best one for you? There are significant differences to consider. Porcelain veneers are permanent. The procedure requires the removal of a thin, approximately fingernail width layer of your tooth’s enamel followed by the bonding of a thin sculpted porcelain veneer. The resin of the composite veneers is applied in layers directly to the tooth and then sculpted to shape the desired look. This procedure can be undone at any time, so if you are not happy with the results, you can have the resin removed and replaced as needed. 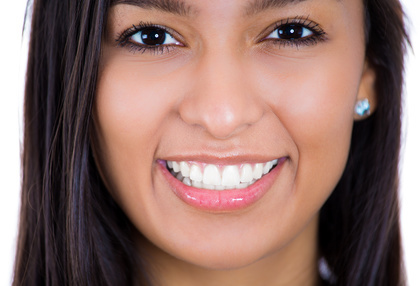 Veneers can be a great alternative to crowns in many situations. Generally, veneers will last for many years with porcelain lasting the longest and with the least amount of maintenance. As a result, Choosing the porcelain over resin will be more expensive. Porcelain is stain resistant compared to resin making it less likely to stain if you regularly consume coffee, wine and other darker beverages. Traditional porcelain veneers cost between $925 and $2500 per tooth generally lasting ten to fifteen years. Composite veneers on average cost $250 to $1500 per tooth and typically last five to seven years. While the process can sound intimidating, it’s actually quite simple! Both options require little or no anesthesia and patients report feeling zero pain. Composite resin veneers are generally completed in one appointment. Porcelain can take up to three sessions since it requires approximately half of a millimeter of the tooth to be removed. Relax! With a bit of anesthesia, the process is completely painless. The most exciting step of the process is that you get to design your own smile! It’s extremely important to take the time with your dental provider to communicate your specific expectations so your dentist can work to provide you with a veneer that suits your needs. Since you have the free range to choose shape, size and color of each tooth, the consultation is the most important part of the process. Check in with your dentist to see if they can create a diagnostic mock-up that will allow you to try on your new teeth before actually starting the process. Regular maintenance is necessary to keep your veneers in tiptop shape. You need to continue with brushing twice a day and flossing daily. There’s no procedure that will ever get you out of those daily tasks! You will need to visit your dentist a week after the veneers have been completed. While it might feel foreign at first, in about two weeks, you will start to adjust to the new size/shape of your teeth. If you chose porcelain veneers, you will need to have a follow up appointment every few months to have the teeth polished and inspected for any sign of potential failure. Night guards may become a necessity to protect your veneers as grinding your teeth in the night could easily ruin them. Although veneers are strong, they are still brittle and it’s important to not use them to chew fingernails, ice or open beer bottles! If you are interested in learning more about veneers, give us a call today at (915) 213-3090. All of our dentists at Sol Dental are available to have a consultation with you to determine if veneers are the best fit for you.